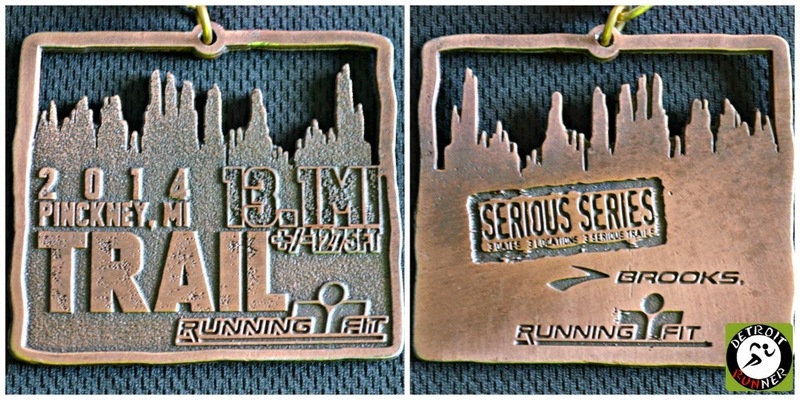 Ran the half last year and while it is definitely the toughest one I've run, it is without doubt my favorite. Had I not been injured this year, I'd have been there too, hopefully next year. Great review. 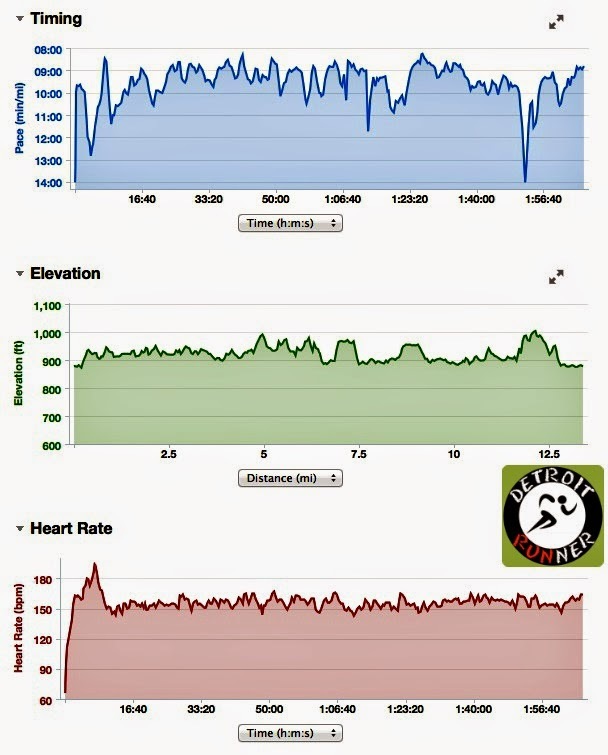 FYI - that heart rate spike at the beginning is pretty normal. It happens in dry conditions mostly due to static electricity interference (which is made worse by most 'tech' shirts). Once you work up a little sweat it's fine. There are various ways to try to prevent this but I've never had much luck with any of them (e.g. using electrode gel under the strap or licking it). Congrats on your race! Great race! I ran the half and on Sunday I ran the Road Ends (5 mile) Crooked Lake loop. 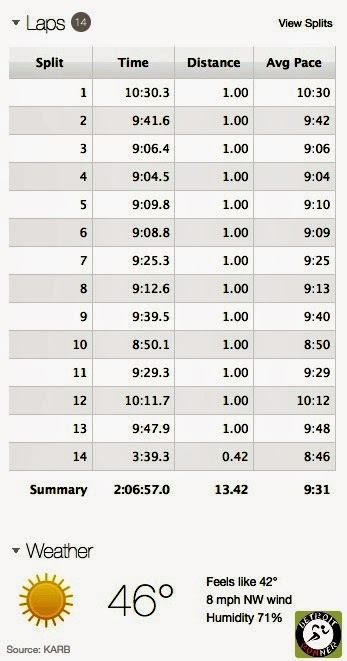 The 5 mile seemed easy after running the half the day before : ) My calves are sore today. 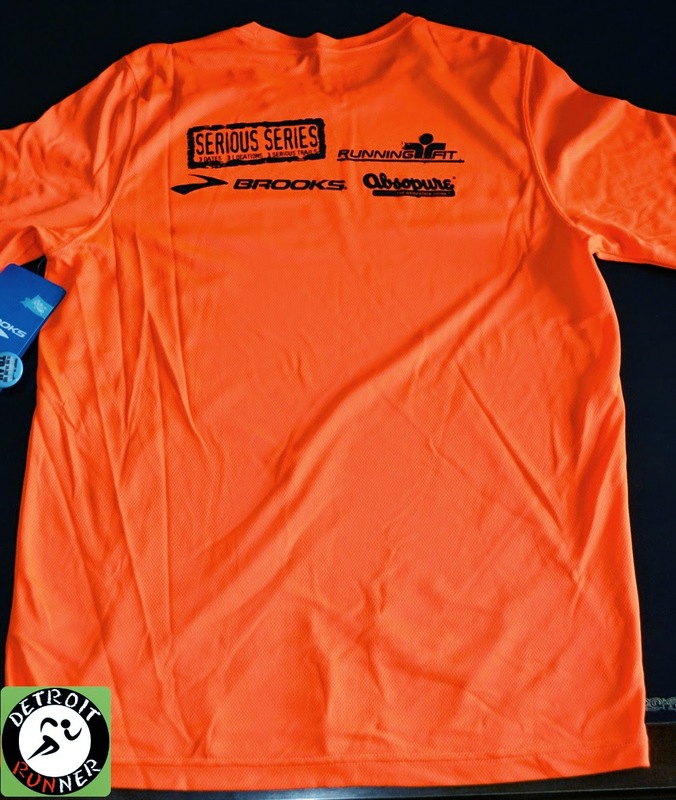 Love the orange shirt! 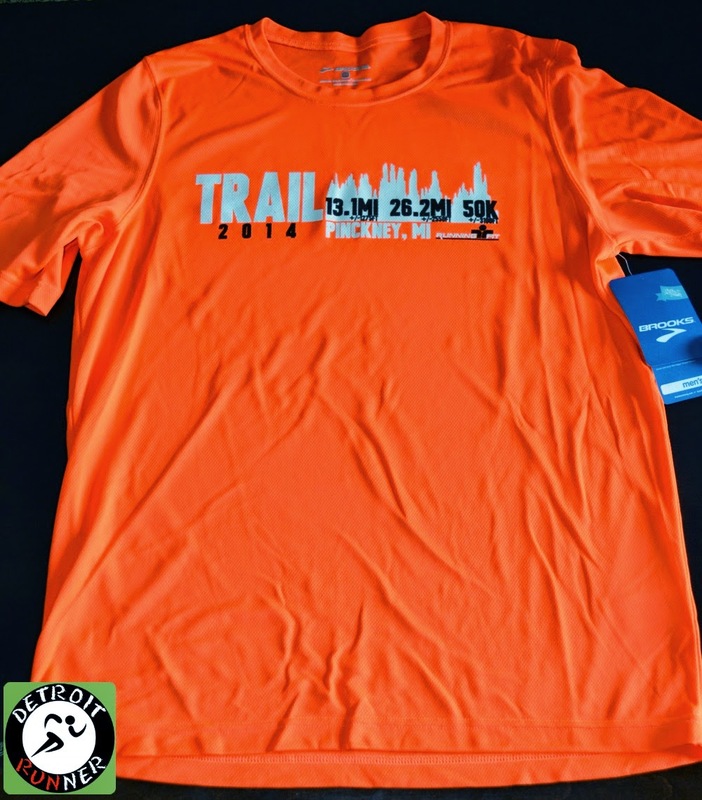 Most race shirts I hate. Good race report. 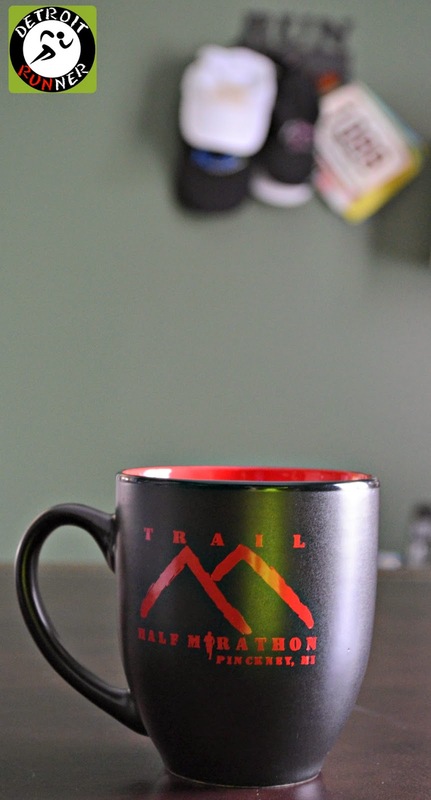 I'm looking at doing a trail half, so this gives me lots of ideas on what to look for. 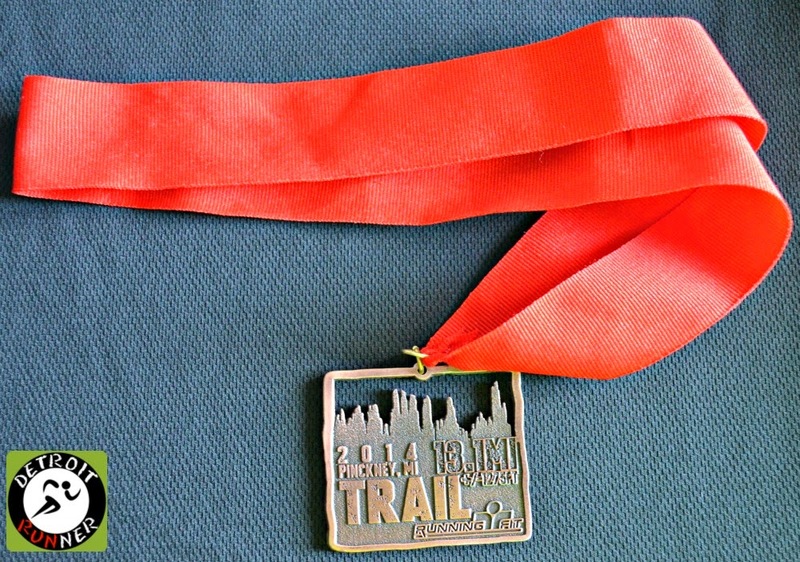 Thanks for the recap, I ran the half as well (my first half of any kind) and loved it. How hilly was this as compared to Pontiac Lake? Looks like a fun race and easy running... would love to get to run a couple of races like that they look fun. Well done! Looks like a really nice race. I would do that any day before a road half. Awesome goodies and shirt! Great recap! Looks like I race that I will have to try out. I love that your goal was not to trip. 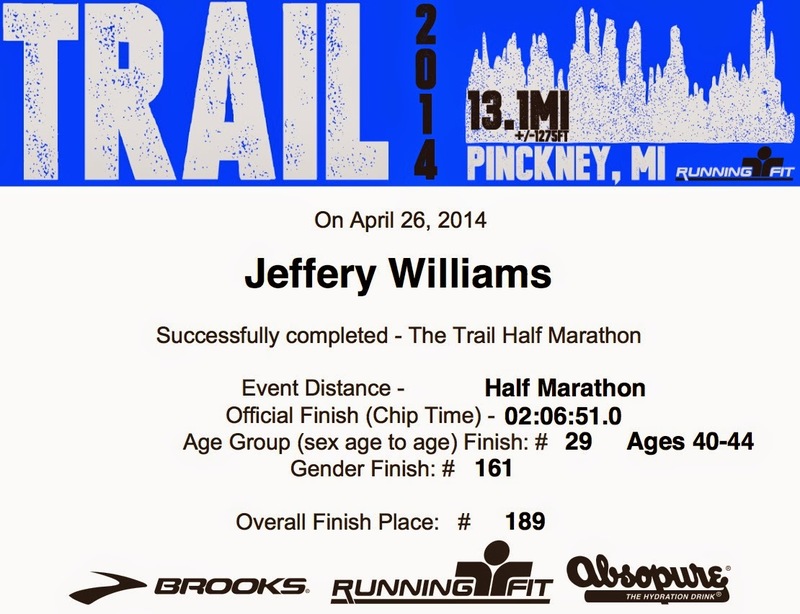 lol I did a lot of tripping on my first trail race at the North Country Run. So much so that my race mantra for that race became "Pick up your damn feet."